Call us today to find out about our current specials and promotions. We also offer financing for those in need. Welcome to Alltech Mechanical Services LLC. 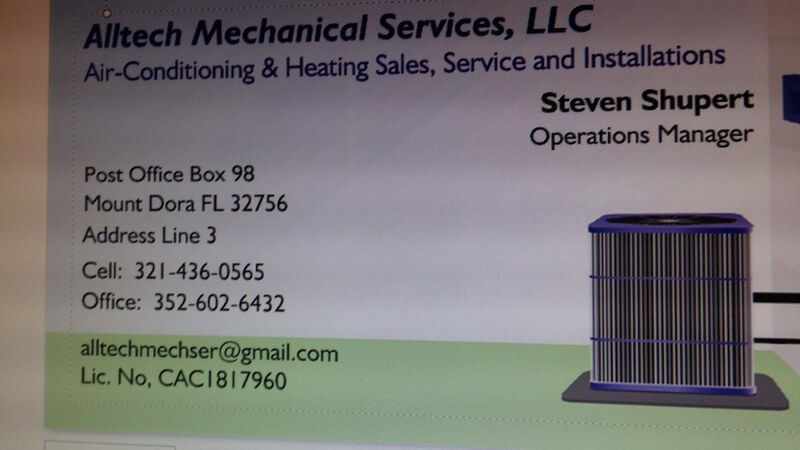 We are a small family owned and operating Ventilation and Heating Company based out of Lake County Fl and we service the following counties: Lake, Orange, Volusia, Marion, Seminole, and Sumter. © 2015. SHUPERT, LYDIA. All Rights Reserved.